"Has there been a more sympathetic monster since Frankenstein's?" 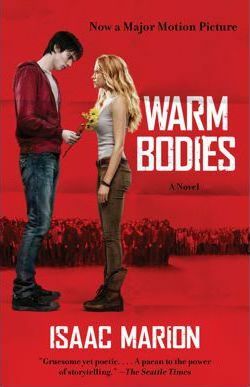 --Financial Times In Warm Bodies, Isaac Marion's New York Times bestselling novel that inspired a major film, a zombie returns to humanity through an unlikely encounter with love. "R" is having a no-life crisis--he is a zombie. He has no memories, no identity, and no pulse, but he is a little different from his fellow Dead. He may occasionally eat people, but he'd rather be riding abandoned airport escalators, listening to Sinatra in the cozy 747 he calls home, or collecting souvenirs from the ruins of civilization. And then he meets a girl. First as his captive, then his reluctant house guest, Julie is a blast of living color in R's gray landscape, and something inside him begins to bloom. He doesn't want to eat this girl--although she looks delicious--he wants to protect her. But their unlikely bond will cause ripples they can't imagine, and their hopeless world won't change without a fight.